presence in Illinois as much as 4000 years ago was indicated by other recent studies². 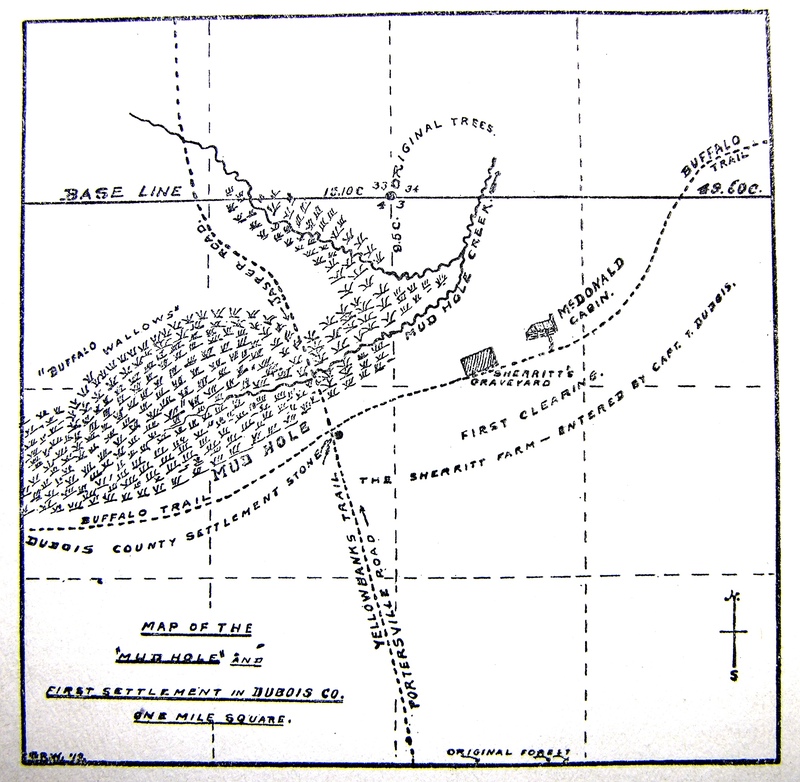 The Buffalo Trace and a mud hole “wallow” as it was mapped and described in the original land survey of Dubois County, IN. Eastern bison bones were occasionally found in the marshes nearby (from Wilson 1919: Plate 5). Archaeological Sites in Southwestern Indiana, 2007.